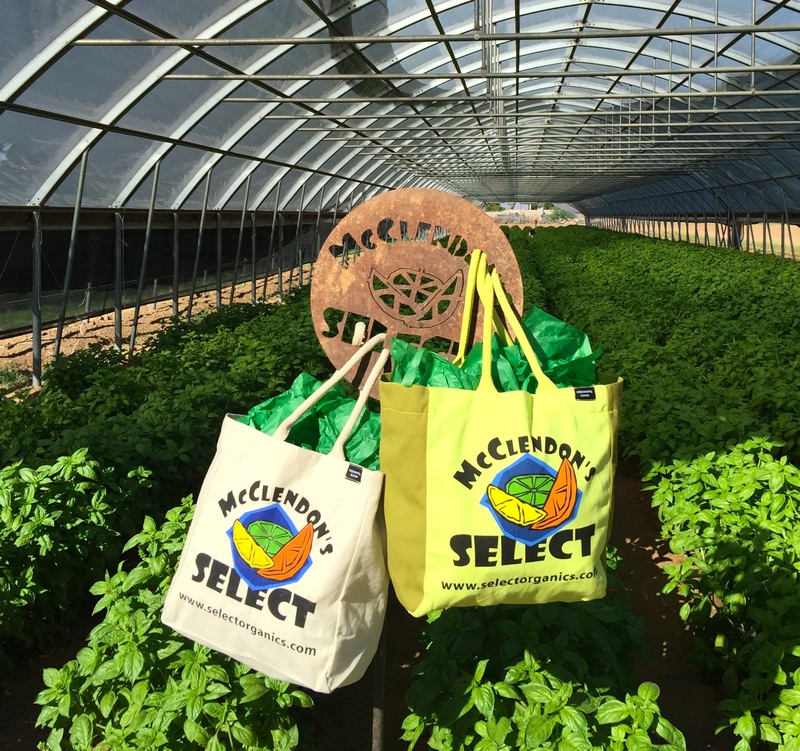 McClendon’s Select is getting ready to return to the Uptown Wednesday market next week on October 7th. We have a huge selection of beautiful produce ready for harvest at both of our farms. And, we have a new batch of market totes that we just received that are bigger and roomier than our previous tote bags with sturdy rope handles, but will still be available for just $7. These bags are made in India from a non-profit business that supplies microloans to women-owned businesses in developing countries. These bags are lead free, fair-trade compliant, and made from 100% organic cotton. I love that the bags are helping empower women while also helping save the planet from more plastic bags. Make sure to get your bags soon, as we tend to sell out of our market totes pretty quickly. We are looking forward to seeing everyone next week at the Uptown Wednesday market and we will be back in Scottsdale on Saturdays starting October 17th. ← Fall Markets coming up!